My rating: 7/10, Good watch. Affordable quality. Sekonda 1058.27 watch is a really nice affordable option when it comes to picking a watch that has that expensive look to it, people are unlikely to notice this is a watch that’s under £100. 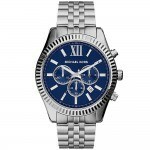 It has a very nice style bracelet which has a different link to a lot of common watches. The dial has bold white hour indicators which stand out from the blue of the dial, overall I think this dial design with the chronograph features is pretty nice. 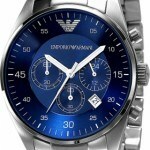 You may also like my 21 best watches under £200. Band Stainless steel, standard length, 18 mm width, standard fold over clasp. Case Stainless steel, sizing diameter: 43 mm and thickness: 11 mm. Dial Deep blue design, bold hour indicators with easy to notice hands. Basic date display. Features mineral glass which is specially hardened to resist scratches. Movement Accurate quartz movement. Analogue display. 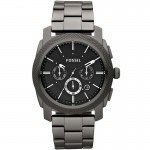 Affordable stylish watch with an expensive heavy feel. 50m water resistance, suitable for swimming, white water rafting, non-snorkelling water related work, and fishing. Some people occasionally find the crown on this style of case hard to operate. 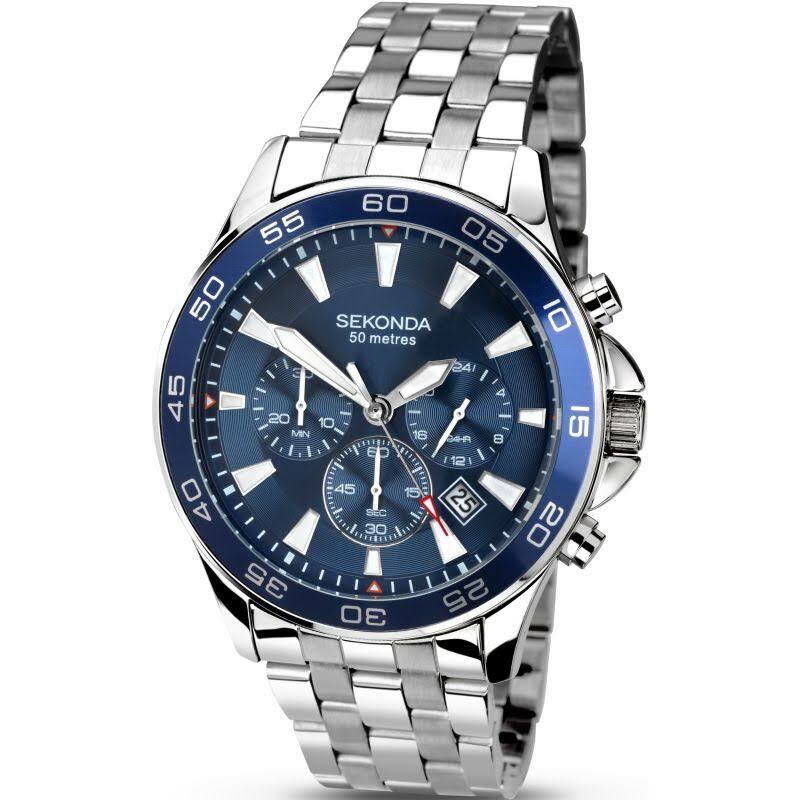 Sekonda 1058.27 watch is perfect for those seeking an affordable great looking watch. Sekonda are known for making good quality timepieces at an affordable price point and this watch is no different. Overall I have to say it’s a pretty nice looking watch, no major extra features but for the price and what you get, I’m pretty happy with it. Hope you enjoyed this review. Hope you enjoyed this Sekonda 1058.27 review. Find more watch reviews below.